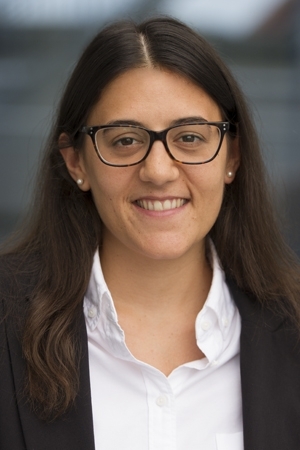 Maia Kaplan is a Senior Consultant based out of LNE Group’s office in Berlin, Germany. In her role, Maia is focused on assisting Fortune 500-companies and SMEs in the development and implementation of funding strategies. Maia has successfully supported clients in securing government funding for the development and deployment of innovative technologies in Europe, across several industry sectors (renewable energy, aerospace, coatings and IT). Moreover, she supports the development of business intelligence reports, identifying long-term R&D trends of relevant stakeholders in Europe through big data analysis. Before joining LNE Group, Maia worked for an international research and advisory firm in Germany. In this role, she provided go-to-market strategies for consulting and private equity clients in Europe and Latin America across a wide spectrum of industries including pharmaceuticals, oil and gas, and alternative energy. Prior to her move to Europe, Maia worked in international trade in Uruguay, supporting the global operations of commodities-trading and shipping companies. Maia earned a M.A. degree in public policy from the Hertie School of Governance in Berlin and B.A. in international relations from ORT University, Uruguay. She also attended the University of North Carolina at Chapel Hill. Maia speaks fluent Spanish, English, German and Portuguese.